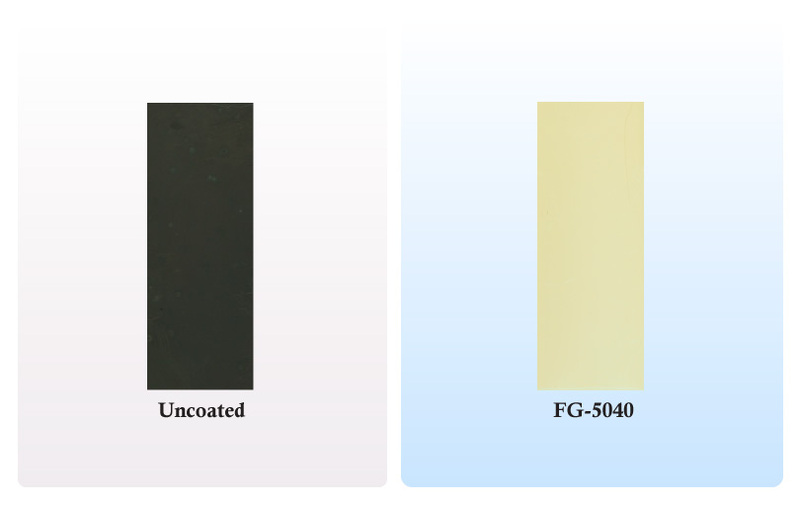 Fluoride resin coating has high acid resistance and can be used in safe for a wide variety of applications such as protection from corrosive gases, lithium battery electrolyte resistance, or corrosion prevention of metal components. 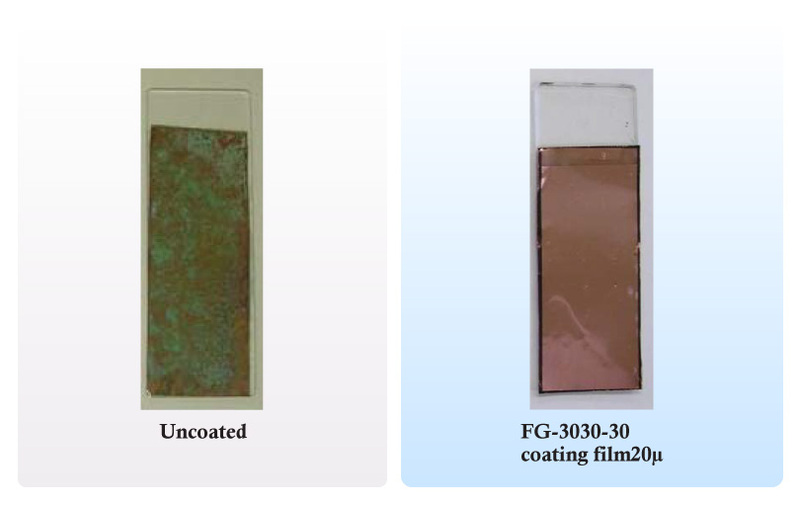 ■Film of fluoride resin coating agent is chemically stable and has strong resistance against acid substances or acid electrolyte of lithium battery or others. ■Low toxic non-flammable solvent ensures safe applications not subject to the PRTR and Fire Defense Laws. 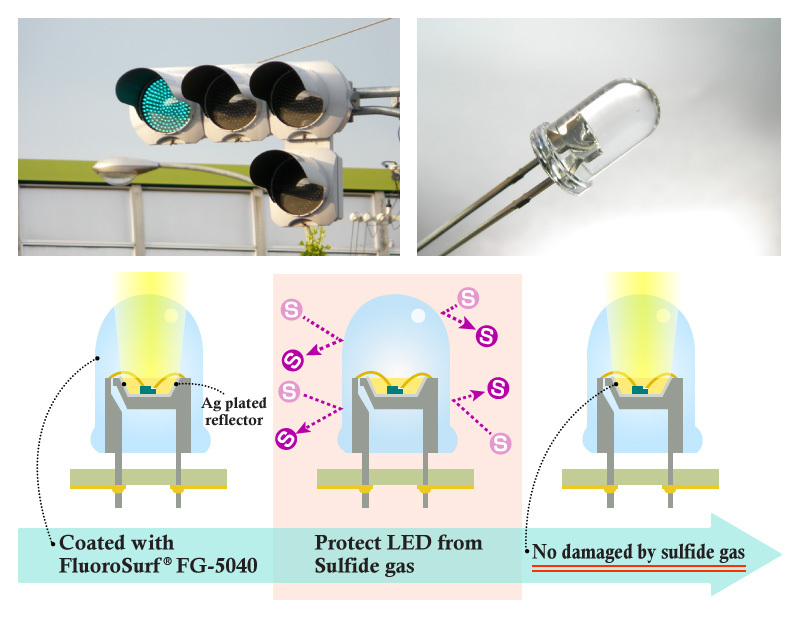 The film of FLUOROSURF FG-5040 protects the reflector in LED from sulfide gas and can control decrease of luminance. 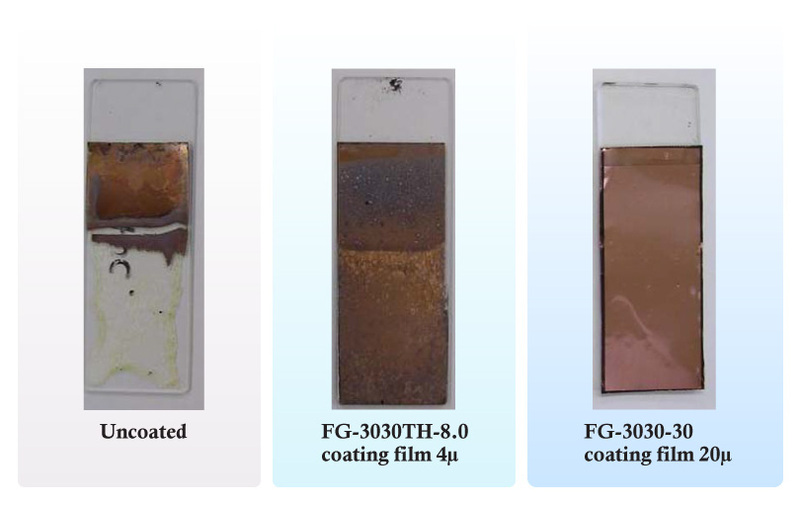 Salt spray test: Specimens were respectively coated with each coating agent by the immersion method and then 5% salt water was sprayed to coating film thickness of about 20 microns repeatedly at an interval of 2 hours, for 480 hours (30deg C). Only representative FLUOROSURF products are presented here. A diversity of products may be offered to meet any requirements. Please inquire of us about details . Our products are chemical products for　industrial use. They may have an influence on the health depending on handling manner. For this reason, our products or their samples are not offered for personal use. We would like you to accept such our intention.